Designing a new gaming microphone for the burgeoning streaming community. 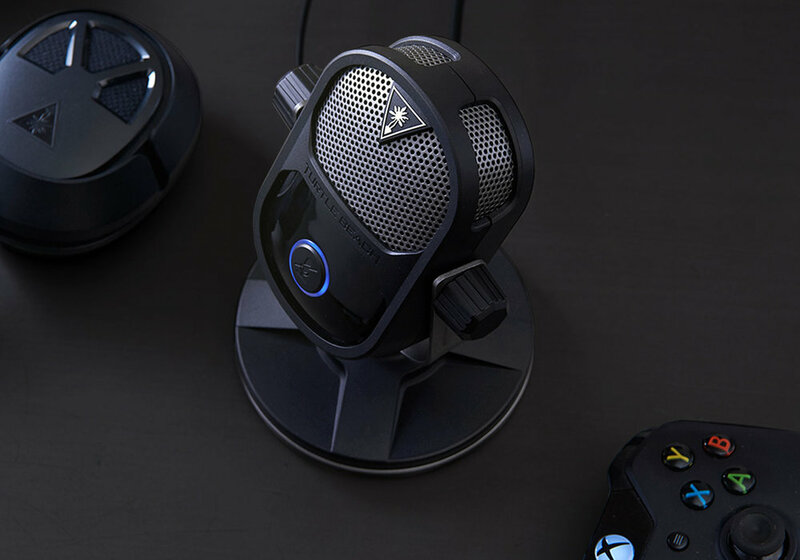 Due to the popularity of Twitch and other streaming platforms it was important to develop a new type of microphone that appealed to gamers and podcasters. Conventional audio mics and equipment are costly and require broadcasting knowledge to set up correctly. 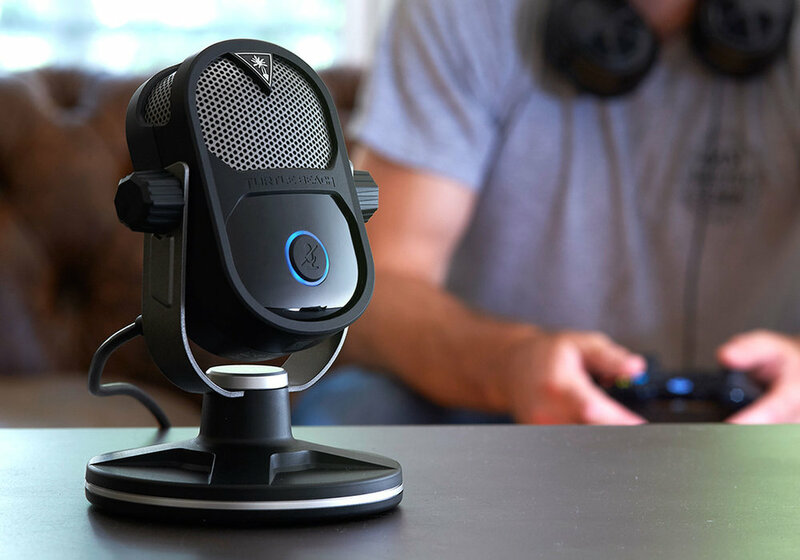 The streaming mic is not only easy to set up but intuitive controls allow for amateurs to easily broadcast. Programed audio presets guarantee optimized audio levels without long set up time. Simple plug in and start broadcasting. The mic design combines a compact table top form with rich material contrast and intuitive features. Tasked with envisioning a new type of gaming microphone for the burgeoning streaming community. Due to the popularity of Twitch and other streaming platforms it was important to develop a new type of microphone that appealed to younger gamers and podcasters. Conventional audio mics and equipment are costly and often require broadcasting knowledge to set up correctly. The Streaming Microphone is not only simple to set up but intuitive controls allow for amateurs to easily create high quality broadcasts. Programed audio presets guarantee optimized audio levels without a long set up time. Simply plug in and start broadcasting. A centrally featured mute button allows for easy actuation while LED halo communicates broadcasting status. The mic design combines a compact table top form with rich material contrast and intuitive features.